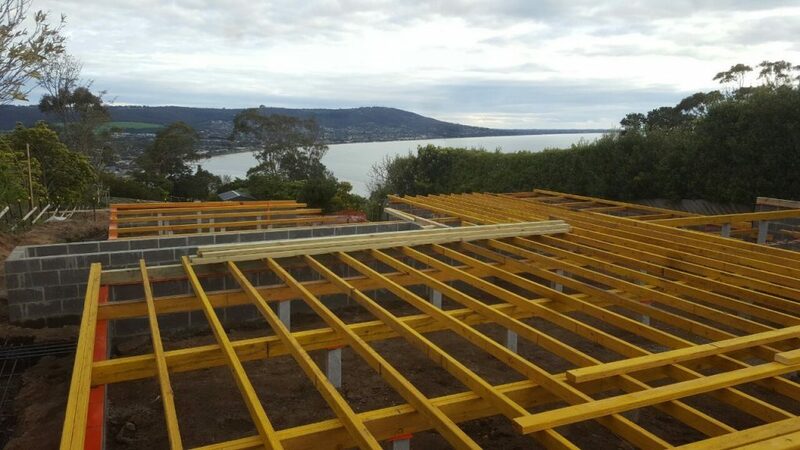 With a steep coastal site overlooking Mornington Peninsula, the owners of House MT – a retired couple – wanted to make the most of the amazing bay views and to have a home that was comfortable and intimate when occupied by just the couple, but also able to adapt and expand to host their extended family or when their adult children came to stay. In response to this, the design for the house avoided the open plan and was built around the idea of a ‘connected plan’ – creating a series of distinct, flexible indoor and outdoor living spaces, which are connected visually when closed but which can be opened and connected when required. Following the topography of the site, the project employed a whole-of-site strategy, organising the house and landscape as a sequence of connected terraces, which set up a range of captured and framed views. The roof opposes this natural slope, opening up the main living spaces to the bay on the south, but at the same time is cut and folded to allow northern light deep into the house. 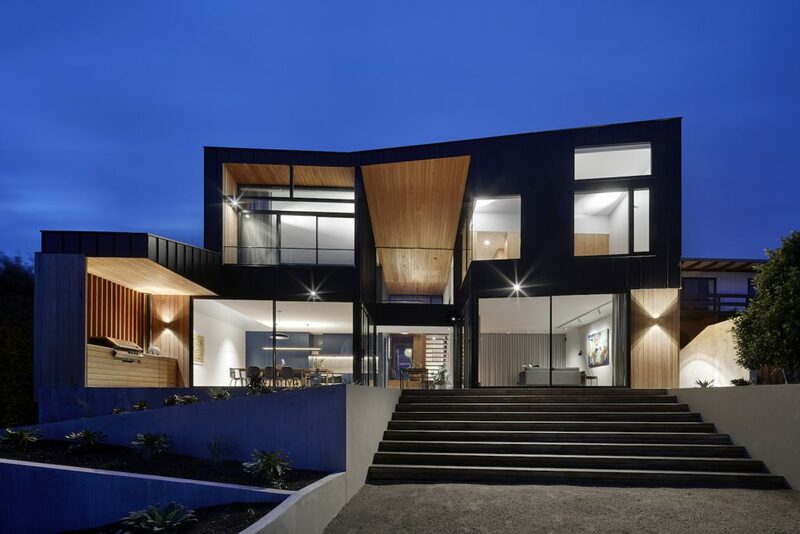 From the street, the house presents a restrained, humble single-storey volume clad in dark, standing seam metal. A timber lined awning is created by pushing the entry and bedrooms into the main volume to create a compressed, framed glimpse of the view beyond without giving too much away before moving inside. 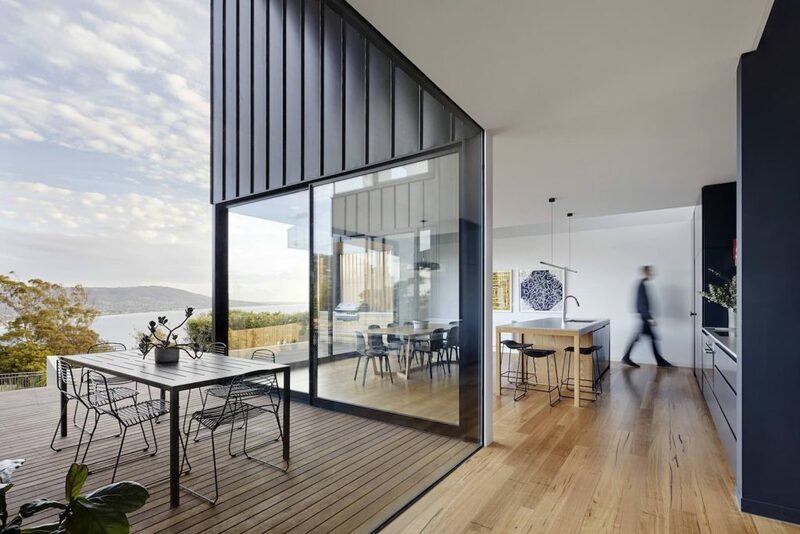 Internally, the controlled entry moves into a larger, timber-lined double-height circulation space, which cuts through the house, bridging interior and exterior spaces, connecting different levels, and opening out to the vast view of the peninsula and bay beyond. We were asked to be involved in the project by an architect [Kart Projects] we had worked with before. Can you talk about the initial concept? The architect was the designer, but was able to assist the value management by reducing costs and maintaining the design intent. There were over 40 contractors involved in the project; access for all was challenged by the weather. We also encountered large rock boulders bigger than cars that had to be altered with dynamite, as rock breakers did nothing. What was the relationship like on the build with the other stakeholders? The client went over seas for six months of the project, so the builder/architect relationship was very strong and key to the success. The builder/client/architect relationship is still very strong and I was down there calling in only a few months ago. Access was an issue, as you’ll see from the cranes used in the building photos. The large rocks threw up some challenges as explained above. The weather was very windy and cold. The view from the rear of the house and how unassuming the property is from the front. Our carpentry team’s timber linings throughout the property. What was the best advice you received as an apprentice? Measure plum and parallel and don’t stand still. Ask questions and get moving. I set the slab out incorrectly on a renovation. I went off the plans and they were different to the existing house dimensions. Lobster as all his meat was in his tail. 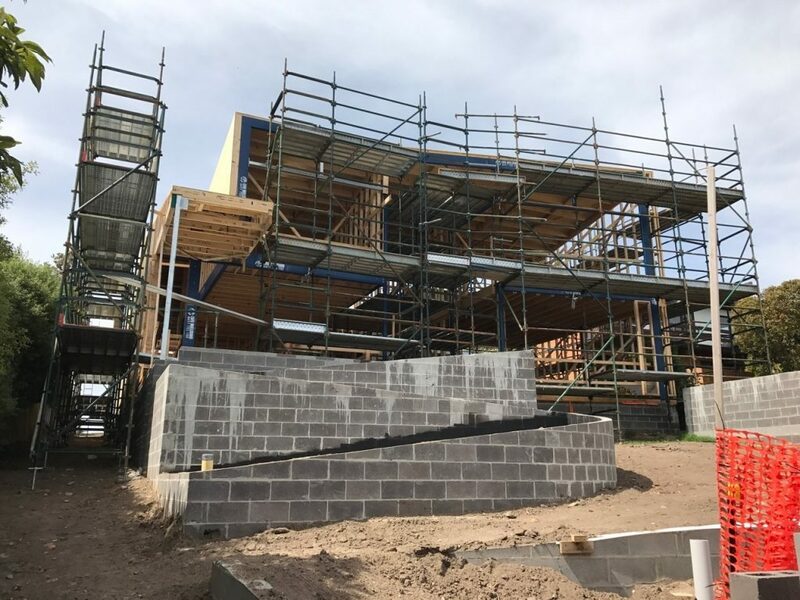 Worst – concreters, because they have no idea about the next trades and how a bad finish is something we have to deal with 12 months later and the impact on other trades. Best – chippie as they need to know every part of the building, as they interact with and drive all trades. Be good at what you do and finish it. Trades don’t realise how lucky we have it and they still want to do as little as possible. Their interpretation of how the plan or finishing is going to look. What are the secrets of a good working relationship with architects and/or clients? Communication and transparency – every project is a team effort between the consultants, the client, the designer, the trades and the builder. What advice would you give to other builders in this regard? We can always do things better. Don’t be complacent and put yourself in the clients’ shoes. Would you advise your children (if you have any) to become builders? If not, why not? I will advise my kids to do what they love. If that’s means joining our company, then great. If not, I’m fine with that. Deep down, I would love to see one of my three boys doing their trade and moving up the ranks through our organisation.